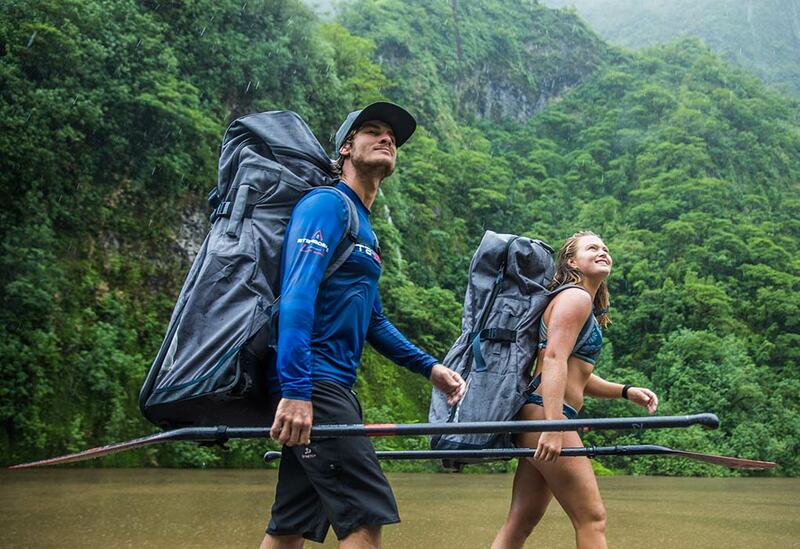 The ultra-light Re-cover bag is designed to minimise weight yet maximise comfort and strength, resulting in the very best backpack carrying experience. Utilizing “Rip Stop” technology to further strengthtn the solid 450D material, we have an amzing strong and light combo. 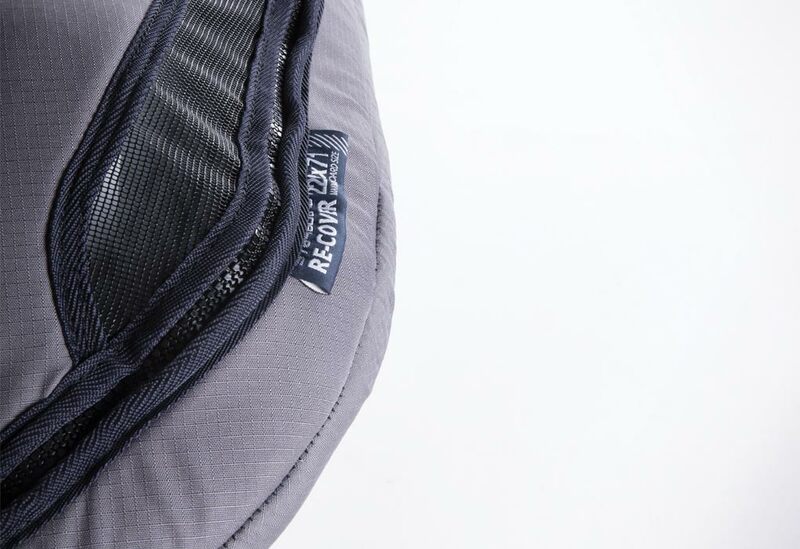 – The ReCover have a RPET 450D outer fabric layer made from upcycled plastic bottles, in partnership with Waste2Wear. 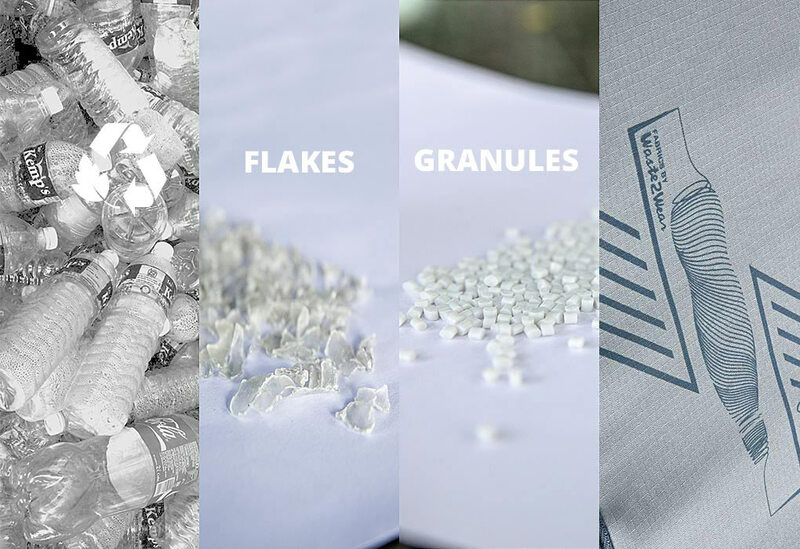 – The bottles are chopped into flakes, washed, melted and extruded into yarns and then spun into a fabric. Between 30 to 150 bottles are used per bag. – Ripstop weaving technology improves wear and tear resistance. – Thanks to our partner Waste2Wear for making this breakthrough possible with upcycled plastic bottles. Ergonomically curved shape to remove neck pain while ensuring good stability on the shoulders. 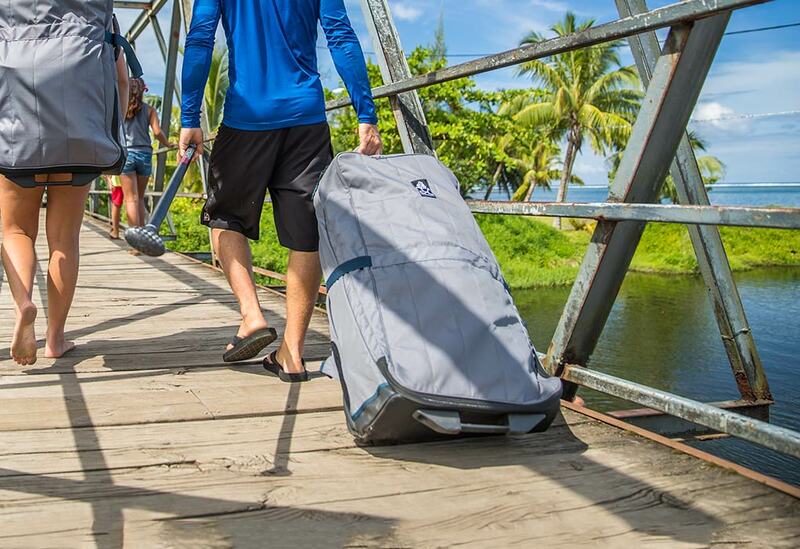 Storing excess straps when not carrying the board. for an overlapping layer of zipper protection. This helps to reduce the weights of the bag even further. 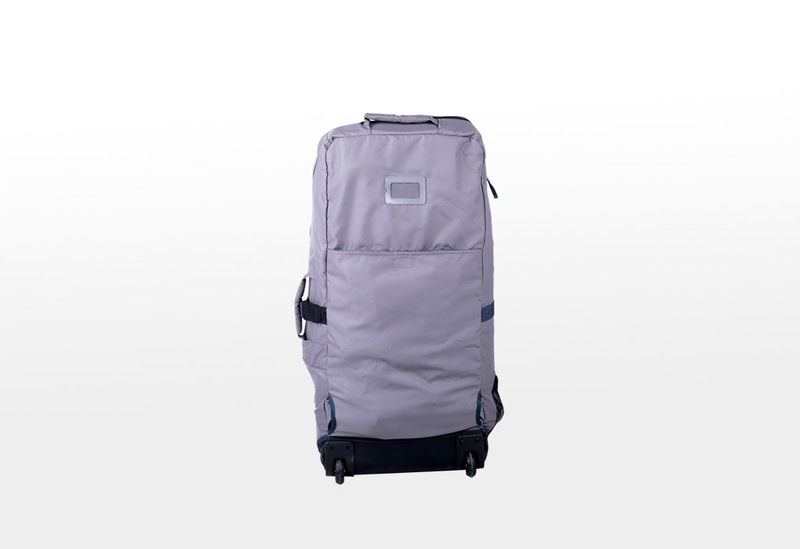 A long distance walk with your bag is easier with the roller wheel.